The asp.net mvc codeplex preview 5 version just came out a few days ago and it includes a lot nice enhancements. For the best introduction read Scott’s post. Some of my favorite changes happened in validation. Incidentally, I was already working on a post to talk about doing client and server side validation the easy way. 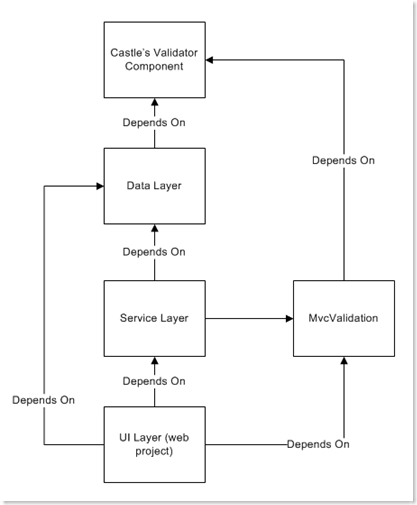 The inspiration came after reading Steve Sanderson’s post and watching his screencast on how he created a model-based client-side validation – very cool. Check out the plugin documenation and demos to understand how it all works. Since I was generating the script on the server and I wanted to make only one call, I went with the second option. The script generator simply loops through all the model properties and their attributes and generate the appropriate script. Afterthought: Now that I think about it, I could have easily generated a script to add classes to the elements using jQuery’s addClass method… Oh well, maybe someone else will be kind enough to do it. 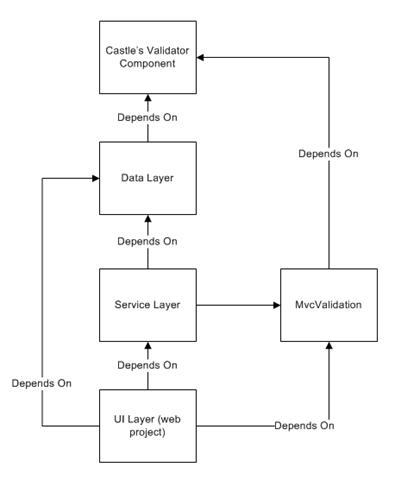 I used the Castle Validator Component as my validation framework. That’s where all the validation attributes you see above come from, but you can also create your own validators. I then created a class called JQueryValidationProvider that implements IBrowserValidationGenerator interface in the Castle.Components.Validator namespace. I haven’t implemented the entire interface and only have a couple of validations working (I will update the source code when it is all done). Here is a couple of methods that I implemented. The validation gets initiated at the service (business logic) layer and if there is a rule violation an exception is thrown. I then take the exception and pass it to a helper method that populates the model state. Note: I could probably rewrite this so that the ModelState population happens before the exception throwing which will eliminate the call to the population method. Click here to download the rough-quality source code. Let me hear what you think of this design. What’s wrong with it? What’s right? Should I put this up on codeplex? < Deciding Between ASP.NET MVC and WebForms	> A Good TDD Process Diagram?